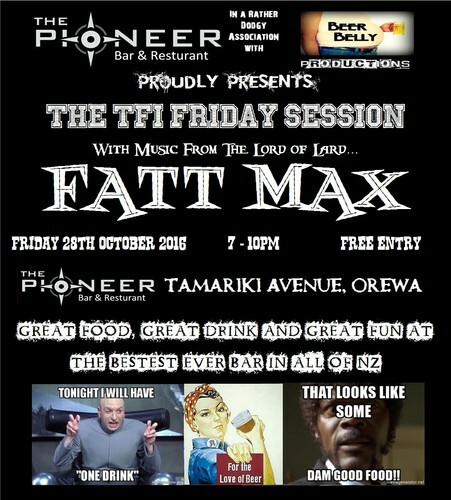 It's that time again to fill up those glasses and shake your asses at The Pioneer in Orewa. The TFI Friday session returns with the usual mix of great food, great drinks, friendly folks and a fat bloke singing some blues. Round off the week with the roundest singer in town. See you there, kiddywinks!